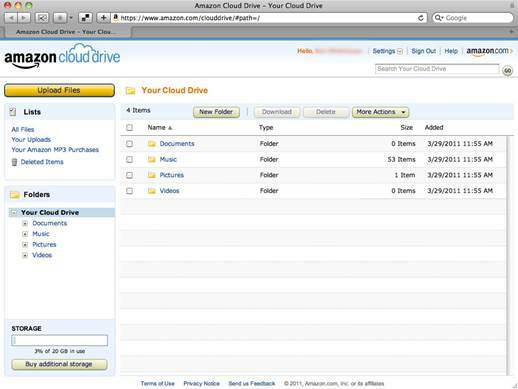 Cloud Drive is essentially a friendly interface to Amazon’s developer-focused S3 online storage service. 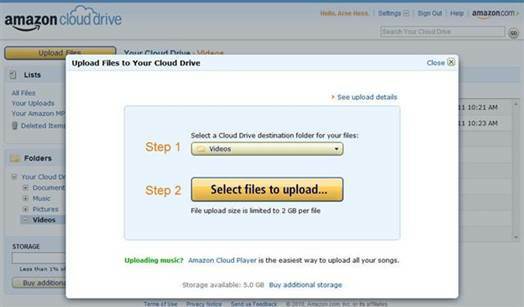 Go to www..co.uk and, under Shop by Department, click on Amazon Cloud Drive and Your Cloud Drive. Sign in with your Amazon account (or sign up if you don’t have one). You will now have a simple interface with three default folders: Documents, Pictures and Videos. You can create a new folder with the New Folder button, or just click Upload Files to start uploading files straight away. When you click Upload Files, you may see a window asking if you want to use the Cloud Drive app; we’re trying to keep everything web-based in this section, so just click No. the web upload interface is very simple to use. Just select your folder from the Step 1 dropdown, then click the Step 2 box, browse to your file and double-click it to upload. It will now appear in the Your Cloud Drive window. To share a file, select its tickbox and choose Share from the More Actions box. A window will appear with a link to the file. Simply send this to anyone you want to be able to download it. Like Google Drive, Amazon Cloud Drive gives you 5GB of storage for free, but it has a smaller 2GB limit for individual files. Google Drive and Amazon Cloud Storage are fine if you want to upload large files for your contacts to download once, but are more fiddly if you want to share several files a day or make sure the files you share are always up to date. If you want to send large files to a colleague or friend regularly or collaborate on large files, such as video or audio projects, you want to use a service such as Dropbox. Dropbox is a hybrid storage service that stores files on your hard disk, which are then synchronized with the Cloud. You can install Dropbox on multiple computers (on PC, Mac, Linux, smartphones and tablets), and it will let you access your files on all of them. This means that you have all the performance of working on a local file as well as the benefit of online backup and synchronization across all your PCs and devices. Dropbox also makes it easy to share folders with others. At a basic level, they don’t even need a Dropbox account. Once you’ve download Dropbox from www.dropbox.com, installed it an signed up for an account, you will have a special Dropbox folder on your PC, which acts just like a normal PC folder. Create a folder within your Dropbox, called something like Share, put the file you want to share in this folder and wait for it to upload. Once it has finished, right-click on the file, go to Dropbox and click ‘Share link’. A web browser will open with a window for the email address of your recipient, so enter it here and click Send. They will now receive an email with a link to the file, and can download it without an account. However, we really want to make sure that your recipient receives any updated versions of your files automatically. To do this, they will need to install Dropbox on their own computer and sign up for an account of their own. 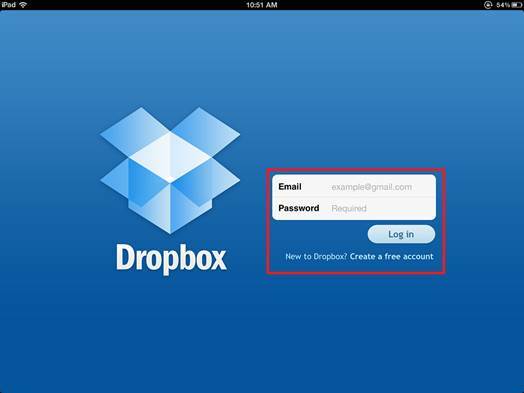 To share a whole folder with another Dropbox user, right-click on the folder, go to Dropbox and click ‘Share this folder’. 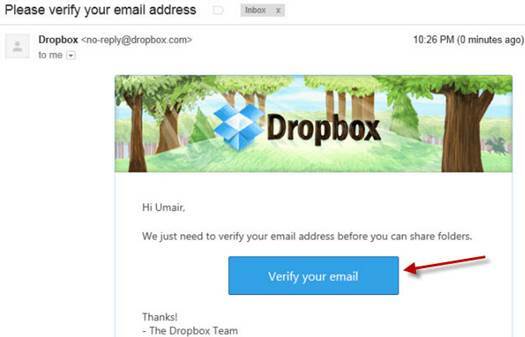 In the web page that appears, enter the email address your contact used to sign up to Dropbox and click Send Invites. Your recipient will get a pop-up from the Dropbox icon in their system tray telling them they have a shared folder request, as well as an email with the same request. When they click on the system tray pop-up or the View folder button in their email, they will see a second web page asking them to verify their email address. They should click ‘Send email’, then click the ‘Verify your email’ button in the second email they receive. Once they sign into Dropbox they will need to click the Sharing link on the left, then the ‘New shared folder invitation’ link, and finally the Accept button. The shared folder will now appear in your recipient’s Dropbox, and any files you copy into this folder on your PC will appear in their Dropbox folder automatically, or be updated to the latest version. The free version of Dropbox gives you 2GB of storage, and there is no limit to the size of individual files. If you don’t mind having two computers switched on at the same time, it is possible to transfer files directly from one computer to another. Peer-to-peer file transfers have two advantages: you can send files of unlimited sizes, and the files aren’t stored on a cloud services, so you don’t have to worry about freeing up storage space or unauthorized third parties getting their hands on your files. Our favorite example is PipeBytes. This is an incredibly simple web-based service that connects two computers to send a file between them. 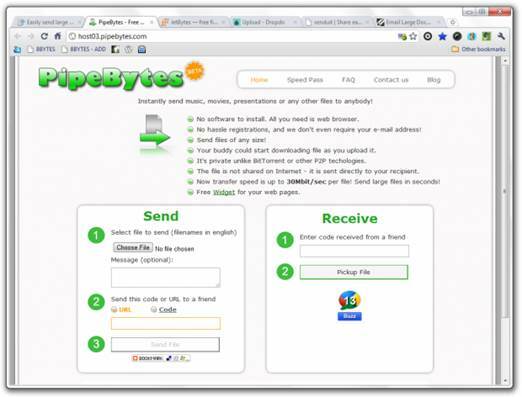 Go to www.pipebytes.com, click the Choose File button, browse to the file you want to send and double-click to select it. Now copy and paste the URL the service gives you into an email and send it to the person you want to receive the file, and click on Send File. A screen will appear with a ‘Waiting for recipient’ message and, once your contact clicks the link and clicks Start Transfer, the file will start to transfer between the two PCs. The speed of the transfer will depend on the upload and download speeds of the respective PCs’ internet connections; bear in mind that many home ADSL connections can only upload at less than 1Mbit/s, so this will be your maximum transfer rate. The free version of PipeBytes is limited to a transfer rate of 5Mbit/s regardless of your internet connection, but this means you can still transfer files at a useful 480Kbit/s.